Mr. Rajendra Krishn Gangpuley (Sensei & Sr Coach & Sr Consultant, Kaizen Institute of Japan) visited our college JIMS ROHINI on 13/10/2018. 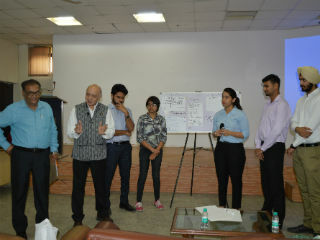 He was invited to JIMS to deliver a guest lecture on “Applying Lean Kaizen for Business Process Improvement”. 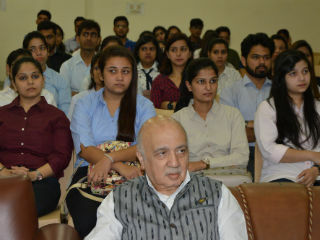 Mr. Rajendra interacted with the students and also enlightened them with his knowledge and experience. He gave some management learnings regarding 4W’s. 1. W - What is required or needed? 4. W - When is it happening? He told that Kaizen is all about making things simpler, and at the same time no cost is to be increased. For Business Process Improvement, we should do mapping from Current State Map (CSM) to Future State Map (FSM). And how do we do that, by IRE (Identify, Reduce Eliminate) the defects, over processing or excessive processing. We should focus on business process as to provide goods or services to customer, which are OT (on time), IF (in full) and EF (error free). 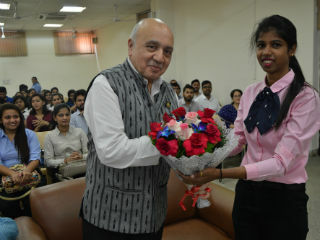 Mr. Rajendra is a very polite, energetic and interactive person. He mixed with the crowd very easily. The session with him was a great learning experience for all. 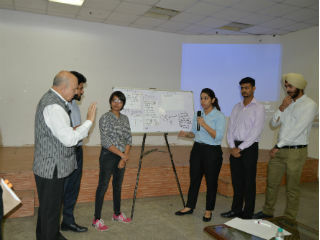 The students of JIMS are looking forward to have more of such kind of sessions.